These came straight from Yelp themselves! If you’ll recall I was contacted by Ahmad Abbassy of Yelp a little while back. He was reaching out to our group for feedback and to offer his help. This is the first iteration of that, these explainers and tutorials. His contact info is included as well. 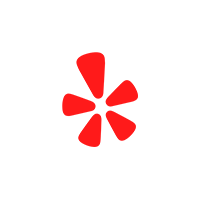 I’d like to chat more about how Yelp can support your business. What time works best for you? Ahmad Abbassy | Account Executive, Yelp Inc.